A spin-off of the Clifton Roots, Jazz, and Heritage Festival held at the Clifton Center last year, Butchertown Roots continues the quest to bring the best in roots, jazz, and world music to Louisville audiences. Featuring five Grammy nominees, a National Endowment for the Arts National Heritage Award recipient, and a MacArthur Foundation genius grant award winner,Butchertown Roots welcomes internationally renowned performers, as well as several of Louisville’s most celebrated local artists. 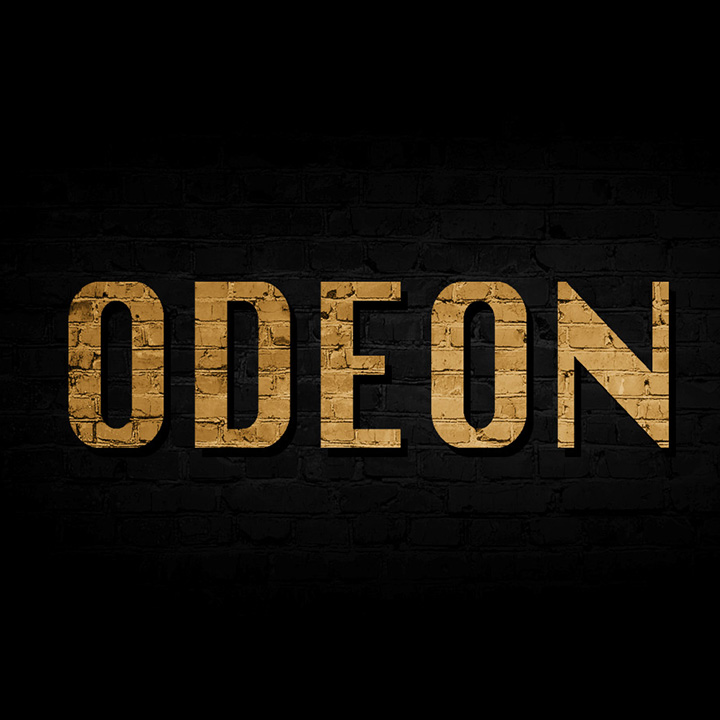 Both concerts will be held at Louisville’s most exciting new venue, Odeon, located at 1335 Story Avenue in Louisville’s Butchertown neighborhood. Masters of the infectious Brazilian music known as “Choro”, Trio Brasileiro, will kick off the festival on Saturday, September 15th at 8:00 pm. Recipients of a 2017 Grammy nomination for Best World Music Album for their recording with clarinetist Anat Cohen, Rosa dos Ventos, the Trio includes world-renowned guitarist Douglas Lora, mandolin virtuoso Dudu Maia, and percussionist Alexandre Lora, and is regarded as one of the world’s leading exponents ofChoro, a musical style that has been described by some as a Brazilian cross between bluegrass and ragtime. With heart-wrenching harmonies and blazing virtuosity, Trio Brasileiro has brought crowds to their feet in concert tours throughout the U.S., South America, and Europe. Butchertown Roots continues Sunday, September 16 with True Blues, an inspiring evening of music and conversation with legendary blues artists Corey Harris and Phil Wiggins. Harris, the phenomenal blues guitarist and singer who was a featured artist and narrator of Martin Scorcese’s 2003 documentary, “Feel Like Going Home”, which traced the evolution of the blues from West Africa to the southern U.S., will be joined by legendary blues harmonica virtuoso Phil Wiggins. Wiggins was recently awarded a National Heritage Fellowship by the National Endowment for the Arts in honor of his many accomplishments, which included a 32-year stint as a member of one of the most famous duos in blues history, Cephas & Wiggins. Tickets for the events are $22 in advance for a single day ticket to either concert ($25 at the door) or $40 in advance for the two-day pass ($45 at the door). Tickets may be purchased online through Louisville Tickets at louisvilletickets.com. is made possible with support from AMPED, a free youth music program that provides a safe environment for Louisville’s young minds to explore their creativity through the power of music. Butchertown Roots is presented by HiteHarris Artists, the production company and artist management agency founded by former Clifton Center director John Harris. Formed in 2011, Trio Brasileiro quickly made a name for itself as an ensemble worthy of international attention. And, after four recordings and successful tours through Europe and North and South America, they are receiving more than their share of it. Among the many accolades, their 2017 recording with the brilliant Israeli clarinetist Anat Cohen, Rosa Dos Ventos, was nominated for a Grammy for Best World Music Album, and was named one of the top twenty jazz recordings of the year in the Downbeat Readers’ Poll. Trio Brasileiro’s stunning virtuosity is matched with remarkable musicianship and a deep devotion to the language of music to achieve a compelling sound that shares equal parts understated subtlety and bone deep groove. But it is their love of the traditional music of Brazil and the connection between brothers – by birth and by bonds of friendship – that create a very rare and profound beauty. 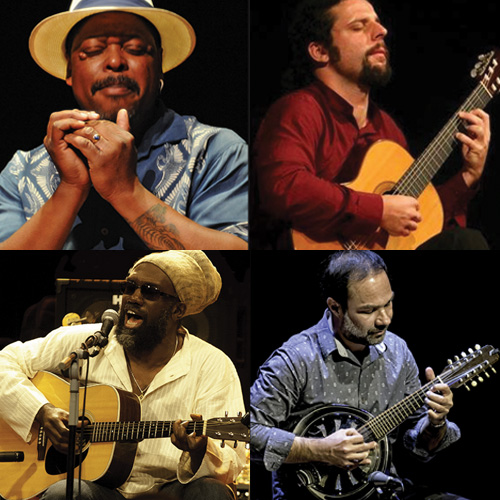 Half of the highly regarded Brazilian Choro ensemble, Caraivana, Trio Brasileiro includes the celebrated guitarist and full time member of the award-winning Brasil Guitar Duo, Douglas Lora; one of Brazil’s finest mandolin virtuosos, Dudu Maia; and the master of Brazilian percussion and Hand Pan virtuoso, Alexandre Lora. Trio Brasileiro is dedicated to performing the great traditional choro music of Brasil by Jacob do Bandolim, Ernesto Nazareth and others, as well as their own compositions, which are modern reflections of that great traditional musical form. Trio Brasileiro’s recordings include Simples Assim (2012); Camino do Meio (2015); and Alegria Da Casa (2016) and Rosa Dos Ventos (2017), both of which feature Israeli clarinetist Anat Cohen. He began his career as a New Orleans street singer, travelling throughout the southern U.S. In his early twenties he lived in Cameroon, West Africa for a year, which had a profound effect on his later work. He has recorded many old songs of the blues tradition while also creating an original vision of the blues by adding influences from reggae, soul, rock and West African music. His 1995 recording, Between Midnight and Day, is a tribute to the tradition of acoustic blues. Subsequent recordings, such as Greens From the Garden (1999), Mississippi to Mali (2003), and Daily Bread (2005) show Harris’ maturation from interpreter to songwriter. Some of his imaginative compositions are marked by a deliberate eclecticism; other works stay true to the traditional blues formula of compelling vocals and down-home guitar. With one foot in tradition and the other in contemporary experimentation, Harris is a truly unique voice in contemporary music. He has performed, recorded, and toured with many of the top names in music such as BB King, Taj Mahal, Buddy Guy, R.L.Burnside, Ali Farka Toure, Dave Matthews Band, Tracy Chapman, Olu Dara, Wilco, and others. His additional recordings include Fish Ain’t Bitin’ (1996), Vu-Du Menz (with Henry Butler, 2000), Downhome Sophisticate (2002), Zion Crossroads (2007), and blu black (2010). In 2003 Harris was a featured artist and narrator of the Martin Scorcese film, “Feel Like Going Home,” which traced the evolution of blues from West Africa to the southern U.S. In 2007, he was awarded a $500,000 MacArthur Fellowship — commonly referred to as a “genius award” — from the John D. and Catherine T. MacArthur Foundation.